This dehumidifier is the ideal pick for reducing humidity levels or musty odor from your home, particularly in water damage restoration. It is the best pick for spaces that are undergoing residential or restoration works. It has a low noise level and a high capacity that has caused it to rank first class in the Energy Star. Storm LGR Dehumidifier can cover reduce humidity within 3600 sq feet of space. Except for water damage restoration, Even during summer, you can use it to supplement air condition systems and use it to maintain balanced humidity levels the rest of the year. High humidity in your home or workplace can cause a lot of damage. As a result of moisture, items such as books, medicine and food to develop mold, household appliances like cameras and computers can get damaged and your house can get pest infestation. Also, humidity can creates a conducive environment for fungi and mildew to grow. In the event of prolonged humidity in hard to reach areas such as basements, your structural wood can be damaged completely due to rotting. Having Storm LGR Dehumidifier in your home or workplace can help avoid all humidity and ensure that your appliances, furniture and structures remain in good shape. This unit is pretty easy and straightforward to use because it comes with a remote humidistat that works well in spaces that require one to control it remotely. Storm LGR Extreme comes with a water resistant PCB cover on the circuit board. 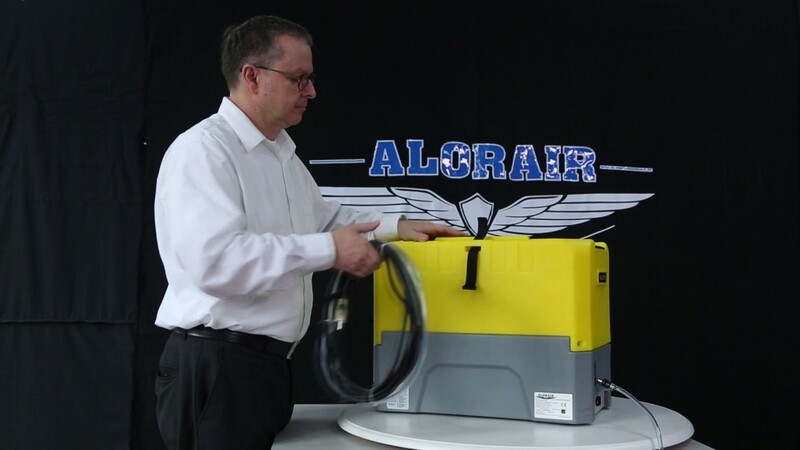 This allows you to sink it in water without fear of causing damage or electrocution if you are dealing with a flooding situation where you need to remove water from a flooded space. The dehumidifier has a control panel that is easy to operate. All you need to do is adjust the already preset 50% humidity to a level you desire using the up and down buttons. Always place the unit on a stable surface during transportation, operation or storage. When in use, you need to ensure that it is placed in an open are with nothing blocking the flow of air in or out of the unit. The unit comes with an external drain hose that is easy to plug in. When using the unit, direct the drain hose to a sink or a drain and uncoil for effective draining. Avoid raising the hose end more than 15 feet high. If you are transporting the unit, be sure to secure it for stability purpose. You can place it vertically or horizontally. However, if you place it vertically at the time of transporting, return it to the horizontal position upon arrival then leave it to still for half an hour before turning it on. For optimal performance, it is advisable to run it with windows closed.